Home insurance policies are usually provided by landlords if you are renting a house or a flat in Melbourne. It would be best to check with your tenancy agreement to see if your accommodation has home insurance and what kind of policy you're signed up for. In cases when you don't have a landlord and you own the property yourself, don't underestimate the importance of home insurance. 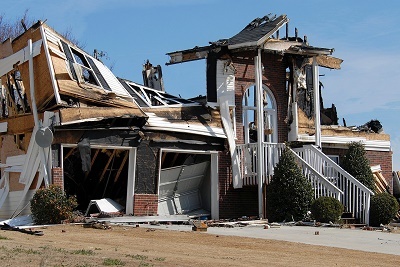 While there are not a lot of natural disasters in Australia, you can never account for accidents and emergencies, and any damages to your home can definitely cost a lot of money and hassle. Forest fires and bush fires are the most prominent type of natural disaster that can happen in Melbourne, so try to check the types of coverage you can get for home insurance in the city and make sure they cover the common damages that can happen to your home in the city. Electrical appliances: Like A/C, refrigerators, TV, DVD player, stereo system, etc. The items have to be valued, and the policy covers damage/breakdown within the house only. Personal accident coverage (optional): Injuries occurring within the residential premise. This does not cover hospitalisation but covers recuperating periods at home. Baggage insurance coverage (optional): This will be protected due to larceny, loss during travel, etc. Workman compensation coverage (optional): Covers domestic helpers, etc.